As lovely as summer is, fall in New England is definitely glorious. And there is something special about getting back to the routines. Kids are back in school and little ones at home need activities…what could be better than reading a Perfect Picture Book? Today I’m thrilled to feature a story by tomorrow’s Will Write for Cookies author, Ana Crespo. It’s sweet, it’s funny, it multicultural—who could ask for more? Great opportunity to talk about problem solving – you could even play a game with your child…what would you do if…? 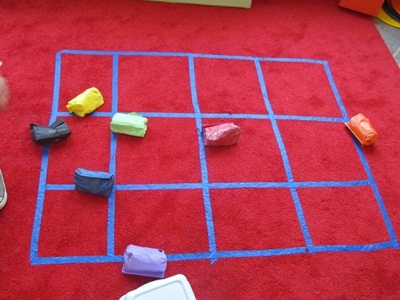 I couldn’t find a picture of bean bags decorated like soccer balls, but it wouldn’t be difficult to use black marker or crayons on a white lunch bag. And filling them with socks instead of beans would be fun for kids to do. For more awesome picture book reviews and activities, don’t miss Susanna Hill’s Perfect Picture Book Friday link up. She’s got a lot to share…including a yummy Brazilian dessert! See you tomorrow! We’ll also be announcing the email subscriber winner of a copy of Show Me How! 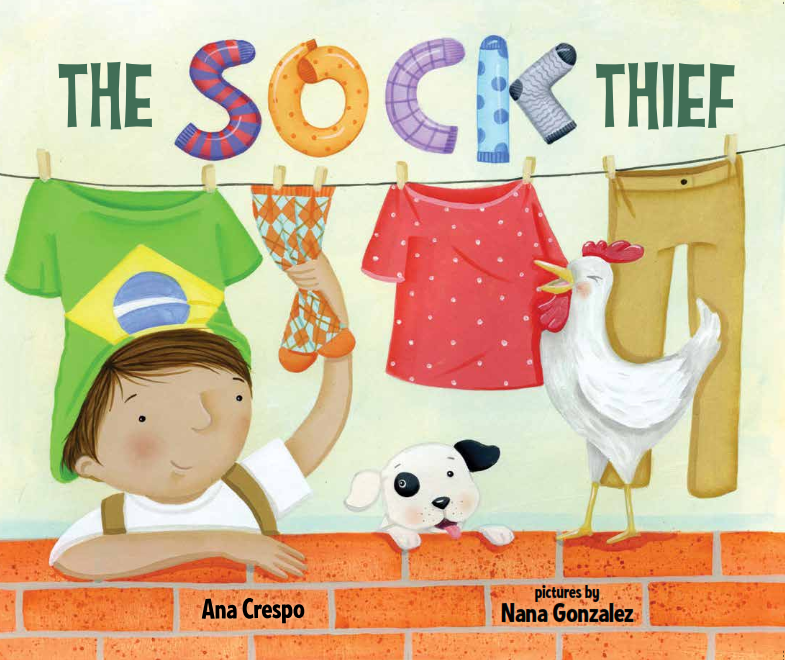 This entry was posted in Crafts for kids, Perfect Picture Book Friday, Picture book reviews and tagged Ana Crespo, Brigadeiros - Brazilian dessert, Futbol, Make a Bean Bag Toss, Nana Gonzalez, Soccer, The Sock Thief by viviankirkfield. Bookmark the permalink. Wow, I want this diverse book! Such a great and creative story about a boy making soccer ball out of borrowed socks — and then returning them with a kind not. This is a great classroom story! I love this story. I’ll see Ana at conference today! Have a great weekend. I’ve read this one and loved it! Quite a creative solution to a problem, isn’t it? Thanks for putting it in the spotlight! I love the creativity (so very kid-like) and also the diversity. Thanks for introducing me to it. Wow! I hadn’t heard about this one yet. Sounds like a great book that I should be on the lookout for. Thanks, Vivian! Vivian, the book looks amazing, but I’m also intrigued by the Bean Bag toss activity suggestion. I am SO trying this with my class families in some form or fashion. Thanks! The cover is very appealing and the story sounds interesting and fun. I look forward to reading it! I like this story… and in the past have made hacky sacks from old socks. Nothing from a clothesline, though…. Will customers come innto your possession, or do you want to check out them. as this are generally quite affordable.